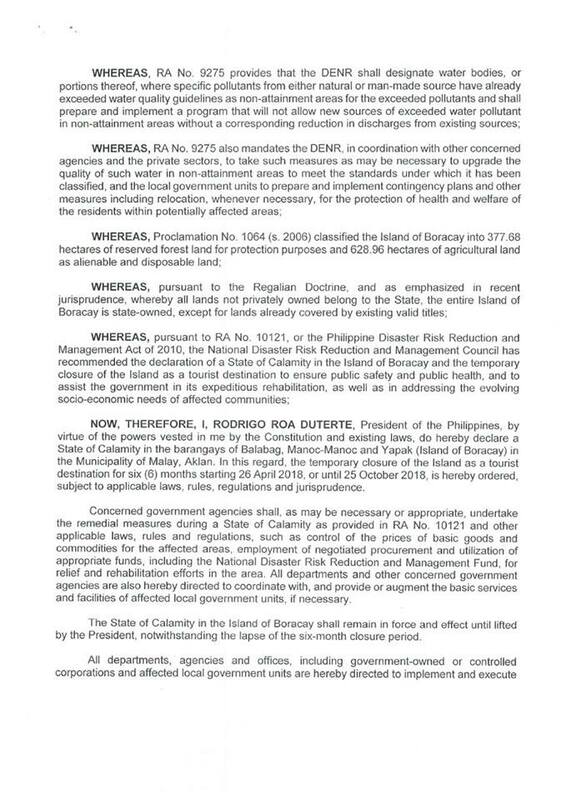 LOOK: Proclamation No. 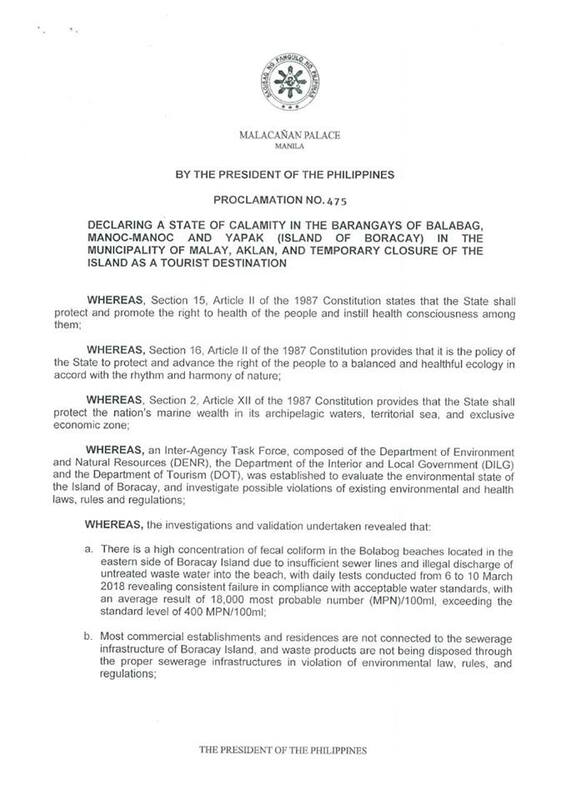 475 s. 2018 declaring a state of calamity and temporary closure of the Island of Boracay - Balita Boss! 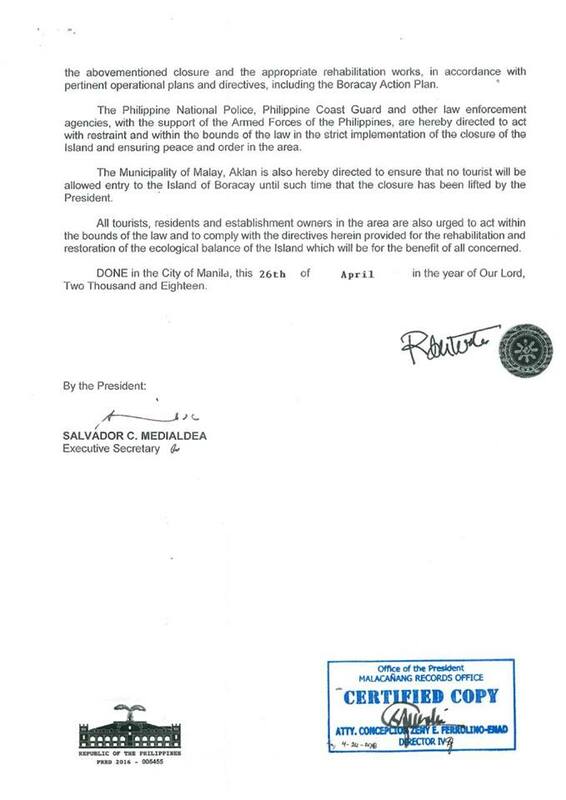 On the day of its closure, April 26, President Rodrigo Duterte has signed the proclamation No. 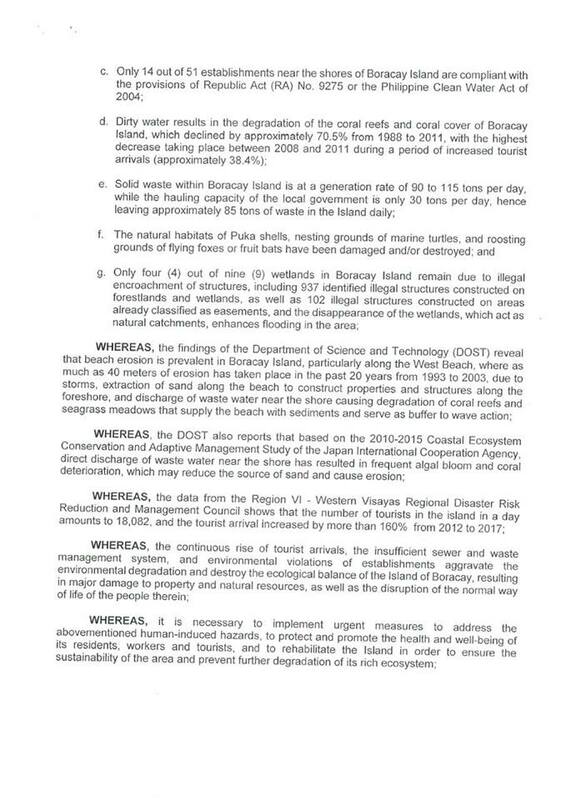 475 s. 2018 declaring a state of calamity in the Barangays of Balabag, Manoc-Manoc and Yapak (Island of Boracay) in the Municipality of Malay, Aklan, and temporary closure of the island as a tourist destination.